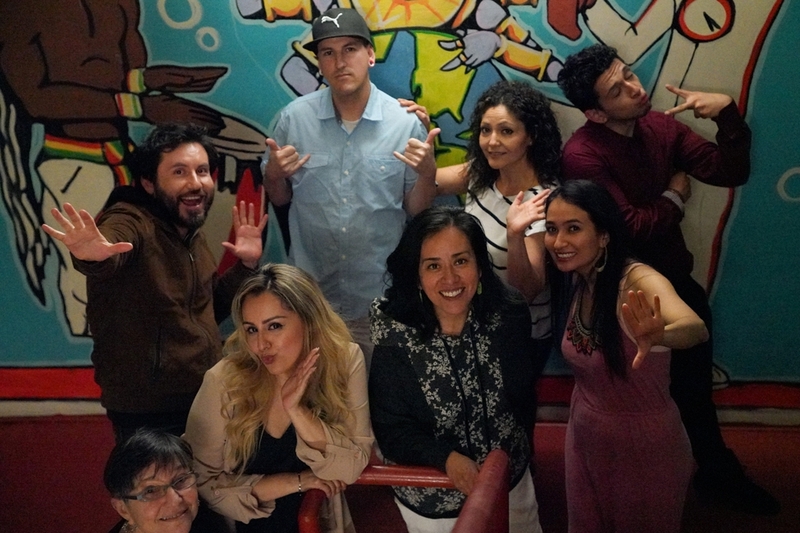 Executive Director at Mission Cultural Center for Latino Arts. Jennie Emire Rodriguez has been MCCLA’S Executive Director for over 20 years. Born and raised in San Juan, Puerto Rico, she earned her Bachelor of Arts degree at the University of Puerto Rico, Rio Piedras, in Literature and Foreign Languages (French), and did postgraduate work in Translation and Interpretation (Spanish/English). Jennie came to SF in 1983, for the second time, and has since been a proud resident of the Mission District together with her lifetime partner and 2 sons. 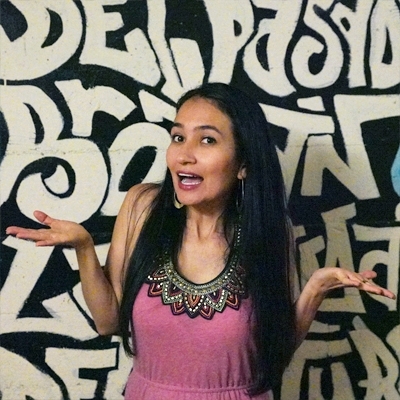 She brings to MCCLA a strong background in community outreach, organizing, management, and the arts. In Boston’s South End, Massachusetts, she directed the Areyto Cultural Program, which showcased the visual arts, music/dance, and broadcasting media. In San Francisco, Jennie became the small business owner of The Elves Office Support Services for 13 years, offering notary public and computerized office solutions. 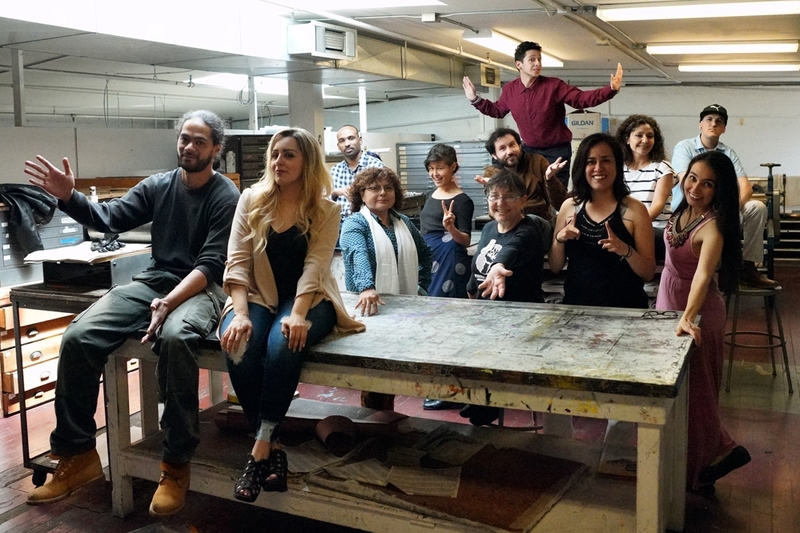 Rodriguez also co­founded the Puerto Rican Network (Association) and Magazine, and “Los Pleneros de la 24,” a Puerto Rican folkloric music group. She has sat on the board of notable organizations at local and national level, such as the Mission Federal and the National Federation for Community Development Credit Unions, ALAS (Women’s Initiative for Self Employment), Creativity Explored (an arts organization for developmentally disabled artists), and served as Treasurer and President of the 24th St. Merchants Association in SF. She is a current member of The SF Symphony Cultural Committee, the Calle 24 Cultural Corridor (Cultural Assets Committee), the Mission Music SF, the Puentes Mural Restoration Project, and SF’s Consortium of Community Cultural Centers. 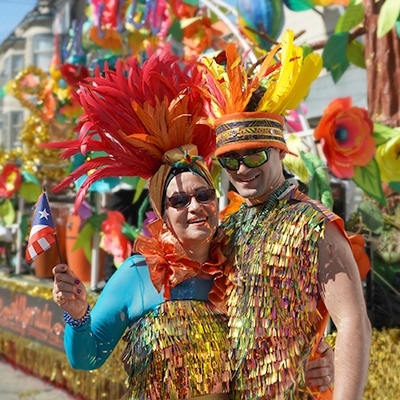 For over 20 years Jennie has participated and danced in Carnaval SF, where she has organized and co­directed numerous artistic contingents. She confesses that “it is Music, of all art forms, that has the unique and magical power to engage us; breaking down barriers, and allowing us to ever so briefly join in in harmony.” It is Rodriguez’s pride to uphold MCCLA’s original mission, to offer affordable, culturally relevant arts programming to the Latino community and the (global) community at large. Angelica Rodriguez is the Gallery Coordinator. 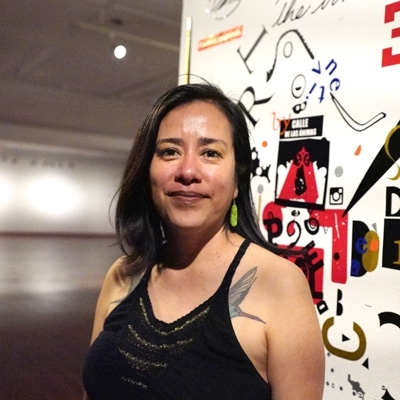 Her job includes curating and managing the exhibits at MCCLA’s main and Inti-Raymi galleries on the second floor. In 2008 she graduated with honors from the University of California Berkeley, earning a Bachelor of Arts in Art Practice. An artist herself, Angelica is a visual and on-hands thinker who aims to achieve aesthetic experiences unique to the center. Mara Hernandez holds a B.A in Graphic Design from UAG and an A.A. in Mobile and Web Design from the Berkeley CC. As a Multimedia Coordinator, she supports all digital and graphics job requests, including web, video, and photography production to create effective visual designs in support of the MCCLA. It is her passion to keep transparent and open communication with our community, and she loves the opportunity to be a part of something that profoundly impacts our society. As a visual artist, Mara enjoys playing with words, colors, textures, and spaces to create visual poetry. Much of her work has been published and exhibited around the world, and her latest project made her a 2018 SFMUNI winner, showing her work in SF Muni Buses. Marsha Shaw received an MFA in Printmaking from California College of the Arts in San Francisco and a B.A. and M.A. from California State University Northridge. 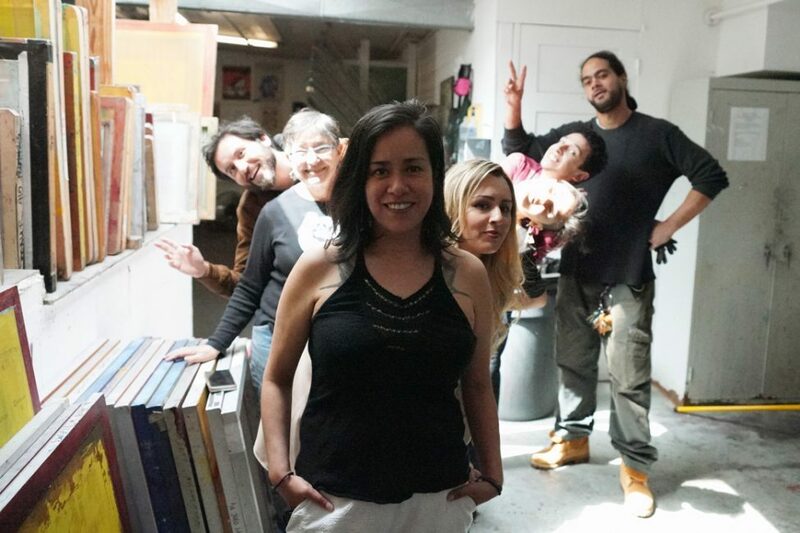 She is currently an adjunct faculty member at De Anza College in Cupertino where she teaches drawing and design and is the manager of Mission Gráfica where she teaches printmaking workshops. 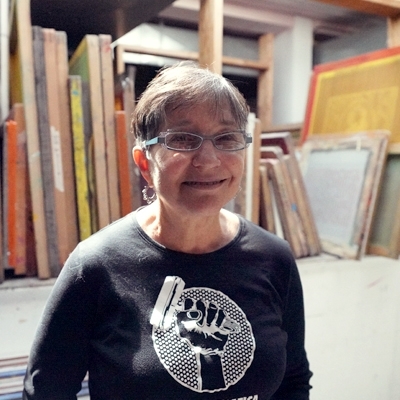 Shaw has lectured and taught courses in bookmaking and printmaking at California College of the Arts, San Francisco Center for the Book, Richmond Art Center, Museum of Children Art and Mendocino Art Center. Her work is in several collections and has been exhibited both nationally and internationally. Originally from Mexico City, Alejandro Meza is the Events and Media Coordinator. 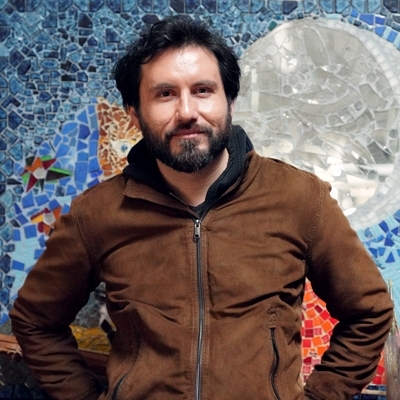 A professional sculptor in ceramics and stone, he has organized community events for the last nine years in the Mission, seeking to disseminate the visual arts and music in an accessible way. His vision as a coordinator is to support artists in their various branches of art and culture, explore new trends, preserve traditions, and maintain a balance between both. Guillermo Yiyo" Ornelas is the Arts Education and Outreach Coordinator responsible for programming classes that reflect the cultural experience of all the Latino community, including leading the yearly Multicultural Art Summer Youth Program (MAS), as well as informing the community about the services offered at the MCCLA through outreach. 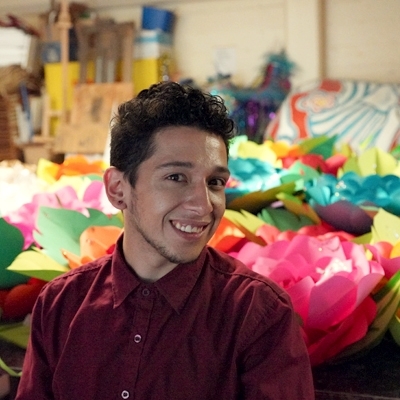 Guillermo is a theater performer and advocate for arts education. As a first-generation Mexican-American, he understands the impact that an arts education can have, especially to vulnerable communities.